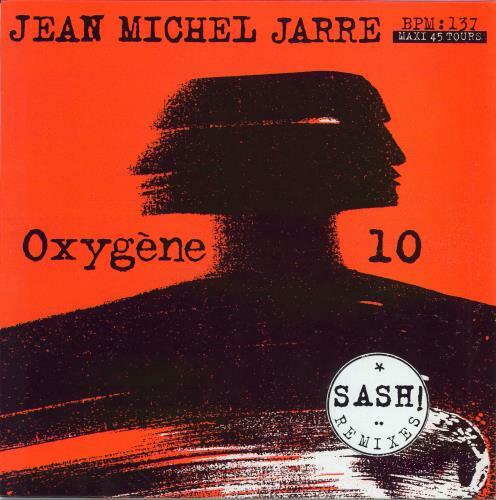 JEAN-MICHEL JARRE Oxygene 10 - Sash! Remixes (1997 French exclusive limited edition 'Maxi 45 Tours' 3-track 12" vinyl single, with new versions of JMJ's best known track including 'Mix II' [5:46], 'Edit II' [3:27] and 'Remix Edit' [3:28], dayglo red picture sleeve!). or visit our Jean-Michel Jarre image gallery.